Screenshot of objects created with Walter Zorn's jsgraphics from his website. Years later when I was writing my article on Cross-Browser HTML5 Drag and Drop, I thought of using Zorn’s drag and drop library to build a decent polyfill for Opera (which at the time didn’t support it) but his website had disappeared. I did some digging and found out about his untimely passing. I was fortunate to get in touch of a friend of his who was good enough to pass my condolences from me to his family, including a note expressing how much I respected Walter’s work. Apparently I wasn’t the only one who did so — Zorn’s friends and family brought walterzorn.de back on-line and dedicated it to his memory. 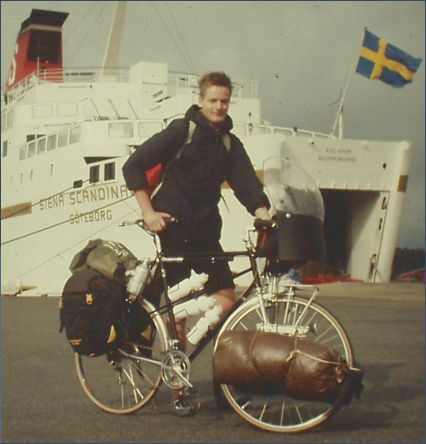 According to one of his friends, Walter was apparently “mad-keen” about long-distance cycling and rode all over Europe. He was especially interested in recumbent bikes that he built and designed himself, and won pretty much all HPV (human powered vehicle) contests available to him in Europe. However, the most interesting thing I found out about Walter was that before 2000, Walter never knew how to use a computer! I never knew the man (my only contact with him was a few emails back-and-forth thanking him for his libraries), but his work inspired me and helped shape the kind of developer I am today. I don’t think I would have done any of the research of created any of the libraries that are on this blog without his example, and I wonder sometimes what kind of voodoo he would have been able to cook up with today’s front-end technologies. Sad to hear of his death. I used Walter’s stuff back in the days and he showed that amazing things that one can do with small functionality, plus he let anyone use the libraries! I would have junior programmers play with his examples and study his code to show them that anything is possible in the browser! nice write up. I remember using Walter Zorn’s vector library ages ago for rendering polylines on maps clientside for showing dynamic routes. very creative stuff! Yes, definitely a developer who is very noteworthy! Very well-written article, which also puts me back in that time. 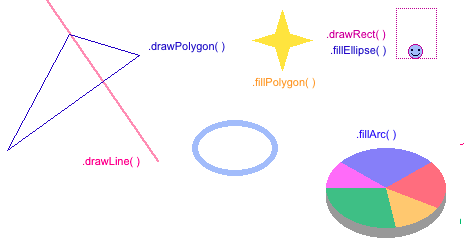 Although his vector drawing library using A LOT of divs had not really made animations possible, it was one of those frameworks that made HTML dynamic. Indeed a brilliant webdev, I used his libraries in the early days to implement defining imagecrop properties. Sad to hear Walter has passed away..
@matths: I was able to do some simple animations with it — but yeah, not as sophisticated as what you can do today with HTML5 Canvas though. It was good enough to create a drag and drop flowcharing application I made back in 2003 – when moving a node in the flowchart, all the lines connecting that node to the others would redraw as the user dragged it around, which looked so cool at the time. Days back, when there was no github, jQuery, script.aculo.us, dojo, etc. It used to be walterzon’s libs. I was a user of Walter Zorn’s libraries for years. Especially drag and drop. Still using it, too. As a special-purpose library it’s hard to beat. As a scripter I’ll never be fit to shine that guy’s shoes. Thanks for the eulogy Zoltan. RIP Walter Zorn, you are and will continue to be missed. I used Walter’s drag and drop and tooltip library many times in the past. It was outstanding to be able to implement drag and drop back in 2003-2004 without using flash. Thank you so much Walter for your contribution to the community! My condolences for the family too. @zoltandulac Thanks for this excellent tribute to Walter’s. @Rodrigo: As I mentioned in the article, I often wonder what he would do with today’s web technology. Posting this was the least I could do — I wondered for a long time why he went silent all of a sudden, and I couldn’t stand that think that his contibutions would be forgotten. It was a pleasure to write this post. It is sad learning that he passed away. It also feels a bit weird now, after all these years. But I still wanted to than you for writing this, and for keeping it around.